Our caring team makes Professional Dental of Clarkston a warm and calming environment for all who enter. We recognize that many patients are anxious and fearful of visiting the dentist. 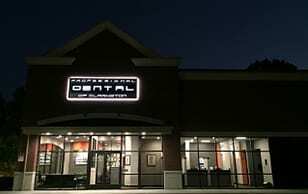 We can assure you that we will do everything we can to make your visit with us the best dental experience you have ever had. Our goal is always to exceed your expectations no matter how demanding they may be! Make your appointment today… we’ll give you many reasons to smile!